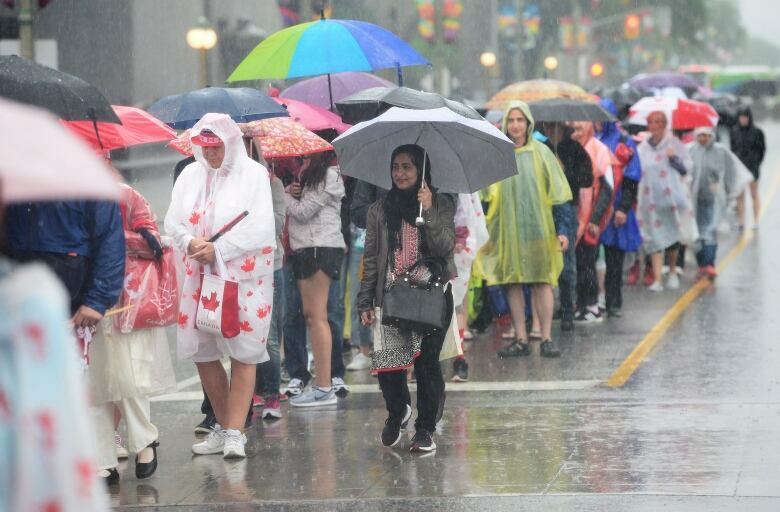 Organizers of Ottawa's Canada Day celebrations received poor grades from many tourists who endured long lines and confusion. 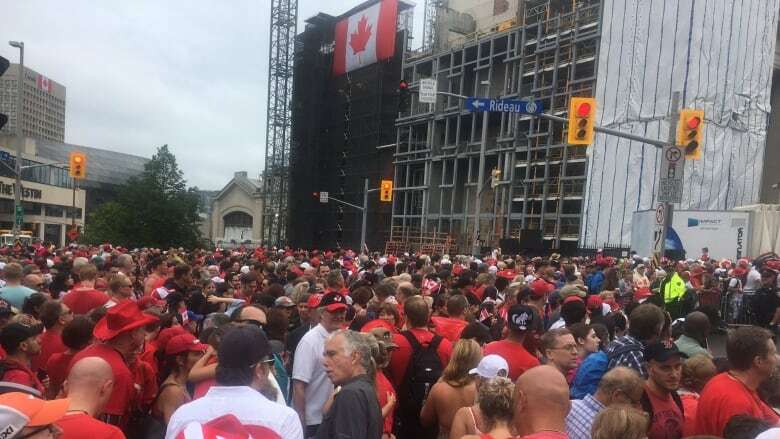 It was billed as the biggest and best birthday bash of them all in the nation's capital, but many tourists and locals found the events of Canada Day 150 too disorganized to enjoy. Long security lineups that moved at a snail's pace, overcrowded and delayed buses, and a general sense of confusion disappointed many who had come from afar to attend the festivities. Now that it's over, Ottawa's hospitality industry is talking about lessons learned. Ottawa Tourism and other agencies responsible for the event, including the City of Ottawa, the Department of Canadian Heritage, and the hospitality industry, will take part in a debrief of the day's events with a look at improving the tourist experience. Ottawa Tourism director of communications Jantine Van Kregten said for the most part, this Canada Day was a huge success, with plenty of free events for tourists and capacity business for hotels, restaurants as well as local galleries and museums. For example, twice as many people visited the Canadian Museum of History on July 1 this year than in 2016. She says when it comes to poor reviews, the main culprit is the weather. "It's disappointing and, obviously, not everyone had the Canada Day of their dreams," Van Kregten said. "But, there were three separate deluges of rain. 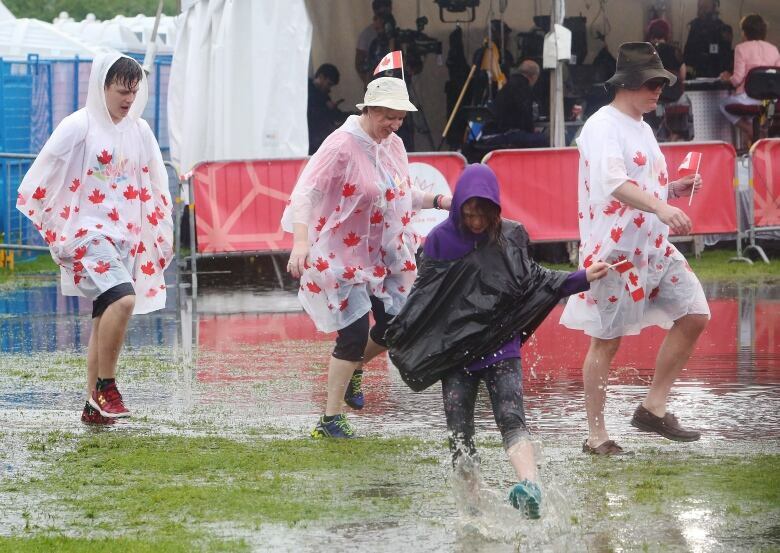 You can plan for rain, but that truly was beyond the pale," she said of the soggy conditions that made waiting a misery and turned the grounds of Parliament Hill into a lake. Adding to that, the additional security for the royal visit, combined with huge crowds created a "perfect storm," Van Kregten said. "I think there are some lessons for managing people's expectations, for using social media to present alternatives." Steve Ball, president of the Ottawa Gatineau Hotel Associations, said he believes the majority of visitors to the capital for Canada Day had a positive experience. "For the most part, I think there were a lot of happy campers on Canada Day," Ball said. He, too, believes that better communication with visitors is the key a successful experience. He also suggested having a free ticketing system in which only those who apply for a ticket would be allowed on Parliament Hill for Canada Day. "I think we just have to enhance the client service component of each event, ensure there's a large number of volunteers there to provide information and help direct people to where they're looking to go."